There is no one definitive article that is going to tell you How to Sell your House by Yourself in Sacramento. If you are a homeowner and just get that bug, then know that it takes a lot of market research, a lot of patience, a plan and be prepared to dig in for the long haul. While it can be profitable, that is usually the motivation. So what keeps most homeowners at bay, from opting to brave the real estate market and selling houses on their own? In this article were going to look at that and talk about How to Sell your House by Yourself in Sacramento. 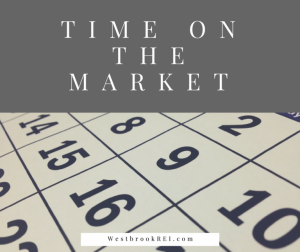 In real estate, it’s all about the numbers; the days on the market, the price of the house, the cost of repairs and updates, how long that takes, the appraisal value, the competition, the commission, the marketing cost, the market. It is enough to make the faint of heart to step back and ask why they would even consider braving the elements. It all seems very complex and yet it’s not. It just takes a plan. Unfortunately for most homeowners, the industry has created a complex web of jargon, procedures and a way of approaching the numbers that make it difficult for most to decipher and keep you searching for the magic pill and of course that keeps you dependant upon them. It’s understandable, since according to the numbers the average homeowner will only sell a home a couple of times in their life. That is hardly enough experience to create an expertise to sell a house on your own, understanding any one market or in a lot of cases selecting the best real estate agent. Ironically, as understated as it may sound, that is pretty much the same amount of experience that the average real estate agent has as well. Like I said, it’s all about the numbers, and when it comes to selling your house why would you settle for anything less than the best effort from the best real estate agent or real estate investor you could find. It really is pretty simple math. So what is the point? If you are like most homeowners and just sell a house a few times in your life, you are never going to feel comfortable with the process. It is NOT easy or painless and it requires so many people to get the sale through. 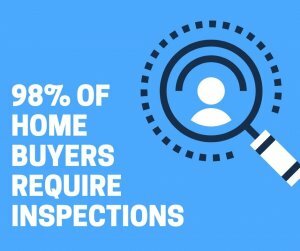 Between the real estate agents, the home inspectors, the appraisers, contractors, the buyers, the mortgage lenders and the banks, is it any wonder that by the numbers so many sales fall apart. There are so many hands in the pie that after everyone’s cut it is a miracle every time something productive happens. 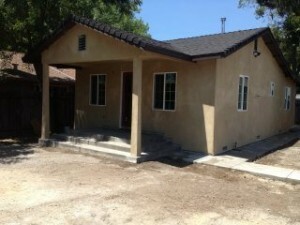 So what does it take to sell your house by yourself in Sacramento? 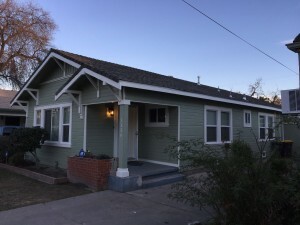 What will it take to get your Sacramento house sold? Do you have to understand everything real estate and become a market leader or can you just put a for sale sign in the front yard and will it to be sold? If it were only that simple, and sometimes it can be. Aside from poking fun at them, there is a reason that real estate agents exist. Not every homeowner is wired to be able to sell their own home and know what to do, what is next, or even how to react when a buyers requests something really goofy. Aside from that, there are skill sets, house issues, time requirements, and contractual issues that not all homeowners can commit to or realistically accomplish on their own without the assistance of some help. So it’s clear that there are a lot of factors that should be taken into consideration in determining the best route for you if you are considering selling a house by yourself in Sacramento. First a full disclosure. I have never utilized the full services of a real estate agent when professionally purchasing a house and I have purchased and sold hundreds of houses. I have, however, paid a lot of buyers real estate agent commissions in nearly 95% of houses that I have sold since 2009. Why? Because Buyers agents bring semi qualified buyers into the equation and that means into my houses and ultimately they they have been worth every penny that I have paid in commission. Just know that if you want to buy a house and spend days looking at them, a buyers agent is like having a personal shopper lining up houses for you to see. Your going to spend a lot of time with them, so make sure that you like them and that they know what you are looking for. It’s ok, you need them they have the keys to most of the houses out there. Best of all, as a buyer, you DON’T pay them a commission… the seller does. But dont believe for a minute that the commission is not factored into the sales price. So as an investor with 10 years under my belt and 35 years of business experience, I may have a thought or two about what a homeowner should do, about the quality of real estate agents, Brokers, mortgages, etc. I have met a lot of homeowners, a lot of real estate agents, and I can pretty determine which are going to succeed independently and together as a team. They all have a lot in common. The traits, the work ethic, the integrity and the tenacity. They are out there and as a homeowner, it is your job to find a team and harness that expertise to sell your house on your terms. The problem with the real estate industry is that it’s geared for the insider professionals. That is probably the case because it is about 98% of the business that shows up at the Title Companies Doors. If you are the 2% in 2019, they might just wonder why you are there without “proper” representation. I never let it bother me. After all I am me and I know that I dont need a real estate agent to fill out paperwork or to negotiate my sales or purchases. But the truth of the matter is that unless you are incredible at organization, a team builder and you know how to find and harness the talent that you need, you are NOT going to have a happy experience if you undertake the challenge to sell your house by yourself in Sacramento in a purely retail environment. There are just to many things that can and will go wrong. So If You want Sell your House by Yourself in Sacramento, these numbers may encourage or dissuade you. It is your choice. And unless you know a local Sacramento real estate agent who will sell your house for free or a hugely discounted commission… it can be a real pain in the rear and an expensive process for you as well. 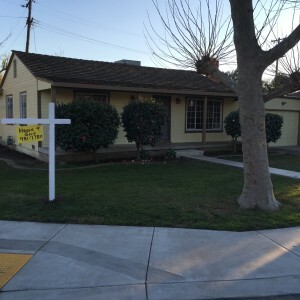 So here we are … the quest of knowledge… “How to sell your house by yourself in Sacramento“. Why the Journey? That is important because if you can zoom in on that question, the answer will reveal why it’s so important. Your Motivation and hopefully your commitment to the result. Is it to save money or to get to as much of the equity in your house than to give it away in commissions? Is it that the house is not in your name because you inherited the house and the estate has no money? Is it that you just dont trust a realtor to act in your best interest and dont want to pay for the privilege? Whatever the reason… there are ways to sell your house by yourself here in the Sacramento real estate market. Do I recommend it? Not usually. Are there circumstances that it should be undertaken? Absolutely! Since 2013, the Sacramento housing market has experienced a major recovery. The selling of most houses has been profitable, as prices have steadily risen, but you have to do it right. In most cases, it is about using smart marketing strategies and being realistic about your expectations on what you want to achieve with the sale. This step is almost similar to conducting market research, only that in this case, you are bound to your neighborhood and similar houses. Are there lots of houses for sale in your neighborhood here in Sacramento? If so, what is the average that they are listing for? 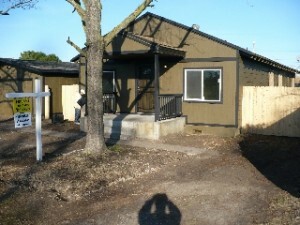 Are there any foreclosures or distressed or ugly houses in your neighborhood that may drag your house price down. If you are serious about this the first and most important step is doing specific market research on your neighborhood so that you understand what houses are selling for. You need to become an active buyer. Go to open houses and see what’s in the neighborhood, you need to become the neighborhood busy body. Wlak through the houses, ask questions, take notes about the condition and how the houses stack up against yours. You need to observe everything. Price, location and condition. You also need to go online and visit various real estate marketing sites (Zillow, Eppraisal the Chase home value estimator, Redfin.com, Realtor.com, Trulia.com, etc), Do your homework. Note the prices of houses listed as compared to the values posted on the real estate sites. Understand that there will be differences. Next you need to call at least three real estate agents to interview them and pick their brains. You need to have them give you a comparative market analysis for houses sold in your area as compared to your house. They will give you insight and make adjustments for the number of bedrooms and baths, the condition of the house, upgrades and repairs. You then need to call 2 or three real estate investors and interview them and have them provide cash only valuations for your house. You will be surprised at how accurately they can pinpoint the value points of your house in your neighborhood. Who knows you may choose to sell your house for cash to one of them. You need to understand about the various market pricing techniques so you can best price your house. You also need to understand how appraisals work. You need to order an appraisal and a home inspection. Yes, they cost roughly $350 to $450 apiece, but if you are serious about selling your house by yourself than you need to bite the bullet and take this step. Understanding the methodology and reviewing the paperwork will allow you to become intimate with he process as it applies to your house. It will guide you to be realistic about your expectations and help you come up with a right price for your house. The more that you do in advance will help you to avoid making certain selling mistakes along the way. After you have assessed the market and the neighborhood you need to assess your house and its condition. What bucket does it fall within. Is it the prettiest house on the block or is it the neighborhoods fixer upper. Be Honest. As a seller wanting top of market value, your house should be in top condition and have no marketable flaws in order to sell at a top price. Identify certain unique characteristics about it and emphasize them during the marketing. For example, in Sacramento, a house with a garage parking may be more attractive to buyers compared with one with a driveway parking or a carport. Be realistic. Does your house require repairs? Does it need to be repainted inside or out? How is the condition of the roof? Is the landscaping in good shape? Has the house been updated? What about the kitchen or baths? The market will reveal itself especially after you have been through a couple of open houses, because it’s important that you know how your house stacks up to the competition. Does it still have popcorn ceilings? All of these things can make the house more or less attractive depending on the buyer… know that each one of the issues and collectively will adjust the price they’re willing to pay. After all of this… come up with an asking price for your Sacramento home that is fair… isn’t so high it’ll take you 12 months to sell the house… but is attractive so you get a frenzy of buyers who are ready to buy it quickly. 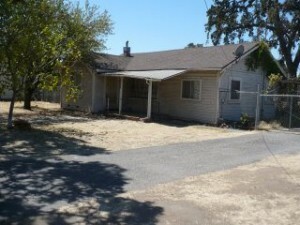 Selling a Sacramento House to an Investor may be the best way to cash out of a property. Sacramento buyers, especially first time buyers are obsessed with media. Taking walk-through videos of the house and using the videos to advertise will enable you to reach a wider market. In fact, these videos are considered more transparent than taking photos. However, this should not stop you from using the latter option since it is more affordable. Consider hiring a professional photographer. They too will cost between $150 and $300 and will also be worth the effort. Have them take a picture of every room in the house that helps show it off. Take a picture of the house from the outside in a few different angles… people want to see the house before they ever show up to see it. So having great pictures of your house online could be the difference between getting the right buyer quickly… and waiting months and months to sell. 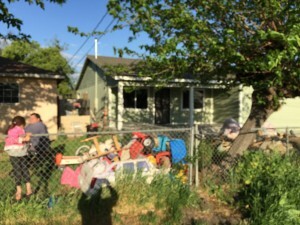 You can find low fee real estate brokers that will charge you a few hundred dollars to put your house on the Sacramento Multiple Listing Service. This gets your house in front of all of the real estate agents quickly (so be prepared to pay those “buyers” agents a 2-3% buyers broker fee if you plan to have their support in helping you find a buyer. All Of This Sound Like A Lot Of Work? Maybe the Best Advice on “How to Sell your House by Yourself in Sacramento” is sell it to a Real Estate Investor? So what do you think? 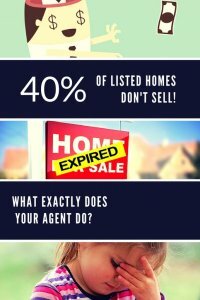 Can you Sell your House by yourself? Many sellers never think about holding costs or opportunity costs… every month that your house doesn’t sell means another mortgage payment, tax payment, insurance, utilities, etc. If your mortgage payment is $1,500/mo… and $1,300 of that is interest… if it takes you 7 months to sell your house… that cost you an extra $9,100 (not to mention taxes and insurance you paid during that time). So, if you were able to sell that house more quickly… would it make sense for you to provide a buyer a discounted price today so you can close quickly and move on? …At Westbrook REI we buy Sacramento, CA houses. Also, when we buy local Sacramento houses we do all repairs that are needed (we pay for it ourselves) so you don’t have to worry about that. If you want to see what we can pay for your house, give us a call today at (209)481-7780 or just fill out the quick simple form through the link below.